A verified indicator of skills, competencies, interests, and accomplishments. They are stored and managed online. They hold the potential to transform when and where learning is valued. Making Professional Learning Count – What do educators want from their professional learning? What do they think of micro-credentials? OpenBadges.org currently maintains the standard for using badges for micro-credentialing. This allows micro-credentials to be transferred and collected from multiple sources. This entry was posted in Micro-credentials, Professional Learning on April 11, 2017 by Mike Muir. When working to implement complex initiatives (like technology integration, or Customized Learning), we want to support our educators by not dropping it on them all at once. Toward that end, we try to define a productive sequence or set of phases of implementation. We wanted to think about developing teachers’ skills at leveraging iPads for teaching and learning beyond just googling topics and word processing. Beyond just projecting material. Beyond just thinking about getting good at various tools. Beyond just using apps connected to the curriculum. We wanted to think about technology as a tool to help us customize learning. 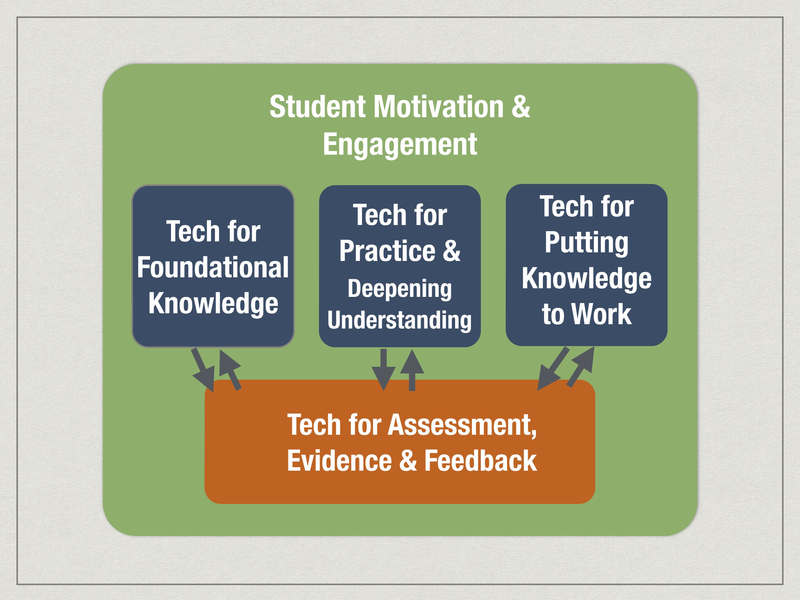 We wanted to focus more on pedagogical goals than technological goals. And we wanted to think about where technology could take us that we couldn’t easily go without technology. This entry was posted in Advantage2014 - Auburn iPads, Distributed PD Project, Professional Development, Professional Learning, Technology for Learning on August 1, 2014 by Mike Muir.